We are excited to offer everyone an opportunity to take an excursion to Hoover Dam, and to descend inside the dam for the Powerplant Tour. If you have not visited Hoover Dam, this is a tremendous opportunity to see and explore one of the world's greatest engineering achievements. Then, for a different and delightfully delicious experience, on the way back to The Orleans Hotel the bus will stop at the Ethel M Chocolate Factory for a tour, topped off with samples to savor. We will board chartered motor coaches at The Orleans and take a 45-minute ride through Boulder City to Hoover Dam. We will have a bit over three hours to take the Powerplant Tour and explore the Visitor Center, replete with displays and exhibits that tell the amazing story of the Dam's construction. A walk across the top of the Dam provides awe-inspiring views of its enormous concrete face, the intake towers, Lake Mead (the largest reservoir in the USA), the Colorado River, and much more. Be prepared to take plenty of pictures! You will also want to visit the Gift Shop and grab a quick bite to eat at the Café. Then, back on the coaches for a sweet trip to Ethel M’s Chocolate Factory and Botanical Cactus Garden. There is only one Ethel M Chocolate Factory and this is it! While touring the facility, see chocolates in the making through the factory’s windows. The factory has a series of pipes, conveyer belts and tanks that hold 20,000 and 35,000 gallons of chocolate. 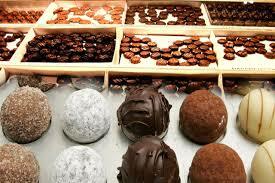 You can purchase hand-made chocolates and peruse the gift shop. 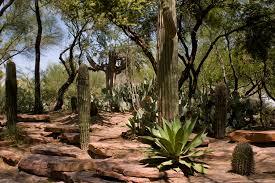 You can also enjoy a stroll through the three-acre cactus garden, featuring more than 300 types of cacti and succulents.